Peter Zou joined eCollect in 2016 from a background in mortgage finance. 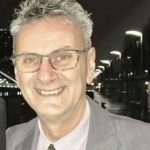 With previous experience in most aspects of mortgage finance and the practical skills that come with that work, Peter is now concentrating on collections for financial service providers as well as in the construction industry. His earlier employment was as an accounts receivable manager for small to medium sized businesses so Peter has heard pretty much every excuse imaginable and knows how to push past that initial reluctance. An avid traveller, he’s been to over 65 countries.